Finally, we show you screenshots of scans of modern mammals living at Sibiloi Park. Our internet connection isn’t stable enough here to upload 3D models, so we’ll do this after we get back. 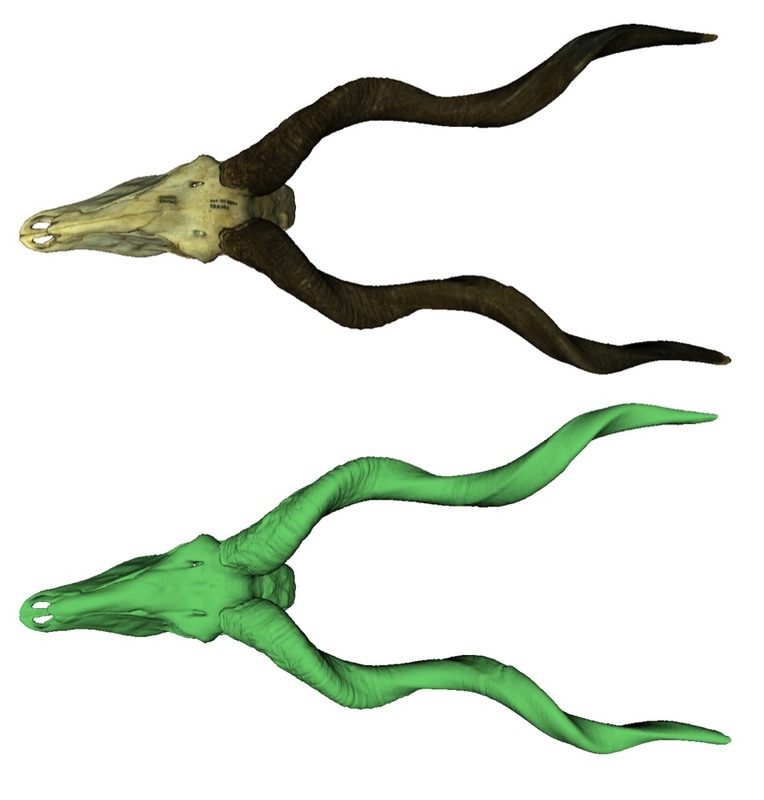 A 3D image of the skull of a lesser kudu, an antelope inhabiting East African forests. The long thin horns were the most difficult part to capture, but we did the job nonetheless. Sibiloi National Park in Northern Kenya is home to a wide variety of species, including rare large mammals of the savannah, fish, crocodiles and water birds. Sibiloi has been recognized as a World Heritage Site by UNESCO for its unique combination of wildlife and prehistoric heritage. 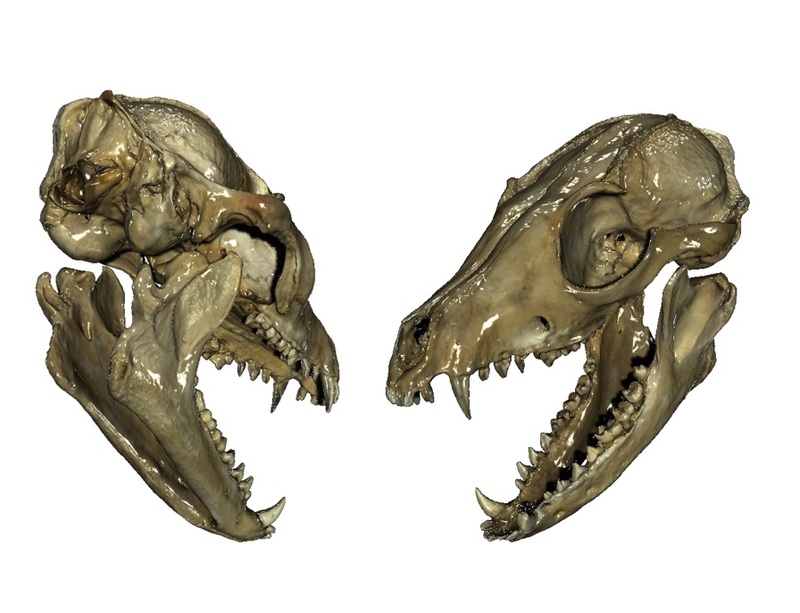 A 3D image of the skull of a modern African fox. Compared to our two day trip to the site of giant fossils, we haven't spotted many wild animals here: a herd of zebras and a few gazelles, hares, squirrels, and a flock of Egyptian geese, which were grazing near a large puddle, still full after the rain. 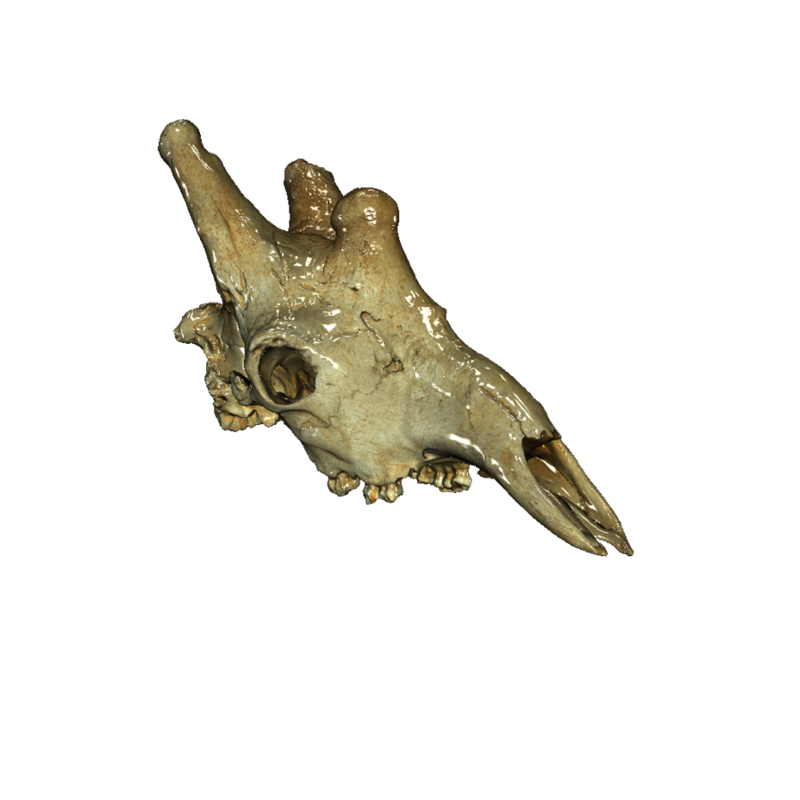 A textured 3D model of a modern giraffe. However, we very often encountered herds of goats and cows, shepherded by children and teenagers, who fled together with their animals at the sight of our car. Louise explained that livestock grazing is banned at Sibiloi, though almost no one observes the ban. Grazing cattle displaces wild animals, because shepherds shoot predators to protect their herds. They also shoot wild animals for meat instead of killing an animal from a herd. This is the reason why in just 10 years the sanctuary has lost most of its animals: lions haven’t been seen here for long time; elephants and rhinos have disappeared; once numerous, antelopes and gazelles are now rare and are very scared of people. Local rangers have no authority to prosecute offenders; all they can do is warn them and ask them to take their cattle away. Particularly diligent rangers may see shepherds to the border, but hardly anyone does so. All this ruins the park. 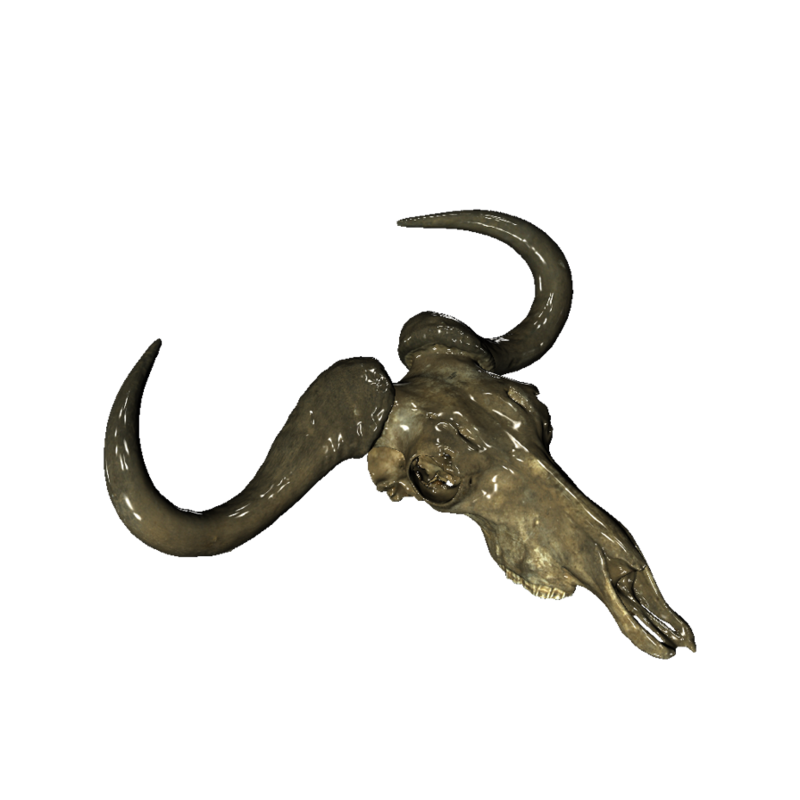 A blue wildebeest, also called a brindled gnu, in 3D.